Technical College System of Georgia Commissioner Matt Arthur has appointed a new president at West Georgia Technical College. 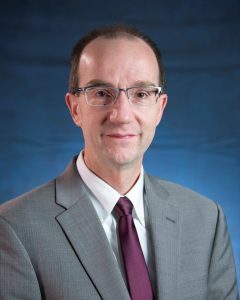 Dr. Scott Rule, TCSG Assistant Commissioner for Data, Planning, and Research, has been named President of West Georgia Technical College. Dr. Rule brings more than 28 years of experience in technical education to West Georgia Technical College. He has been a technical instructor, chief information officer, vice president for academic affairs, vice president for economic development, and vice president for student affairs at Chattahoochee Technical College. Dr. Rule joined TCSG as Assistant Commissioner for Data, Planning, and Research in 2016. Dr. Rule received his Bachelor of Science from Polytechnic State University, his MBA from Kennesaw State University, and his Ph.D. from Georgia State University. The State Board of the Technical College System of Georgia approved Commissioner Arthur’s appointment of Dr. Rule at their monthly board meeting on Thursday, April 5 in Atlanta. West Georgia Technical College, with campuses in Carroll, Coweta, Douglas, Haralson and Troup counties and class sites in Heard and Meriwether counties offers over 120 associate degree, diploma and technical certificate programs of study. A unit of the Technical College System of Georgia, West Georgia Tech is the fourth largest of the state’s 22 technical colleges. For more information, please visit westgatech.edu.